The week of February 14 - 20, 2010 is a week I will never forget. 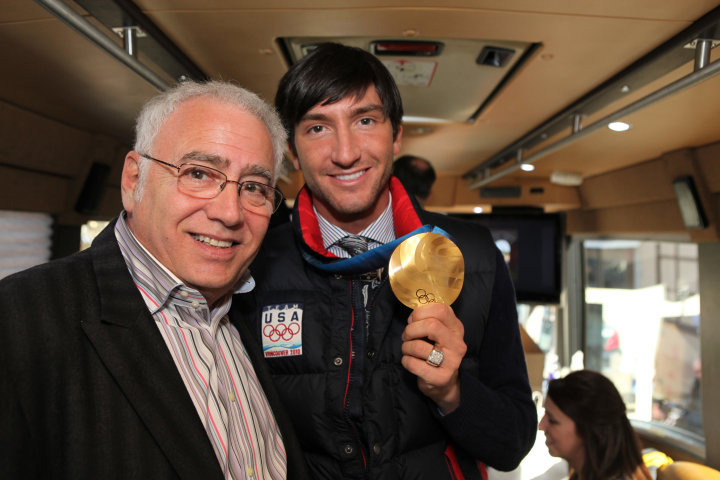 I've worked with reigning World Figure Skating champion Evan Lysacek for years and excitedly anticipated his appearance in the 2010 Vancouver Winter Olympics. Below are video clips showcasing Evan's talent, hard work and accomplishment. I am so proud of him. View the Windows Media Player Videos below; control play/stop/rewind with buttons. Please contact me with questions regarding orthotics in figure skates for yourself, your children, grandchildren or your coaching needs. 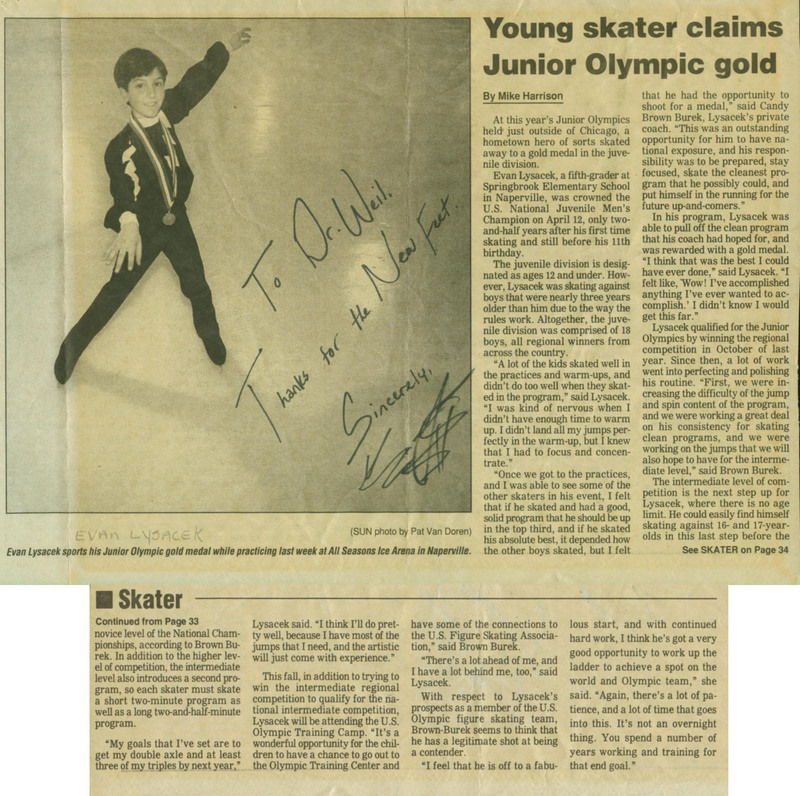 Back in the beginning...I met Evan Lysacek in 1996...read more about his early days--click on the Naperville Sun article below to enlarge (article by Mike Harrison; photo by Pat Van Doren).